Termites are small insects that consume wood (preferably rotting or decaying), leaves and soil and these things can be found in Framingham, Massachusetts’ homes. The eastern subterranean termite, the type of termite that dwells in our region, lives below ground in large social colonies with different castes including the workers, soldiers and reproductives. The workers are about 1/8th of an inch in length and are creamy white in color; the reproductive members have wings, are black in color and are much larger at about ½ an inch in length. Termites do not harm humans but they can cause severe damage to the structure of your home and even some damage to your belongings. Because termites establish colonies away from their food source and are difficult to find and eliminate from your home, an infestation requires intervention from a MA termite exterminator. Because termites are very elusive and they eat wood from the inside out, it can sometimes take months or even years before an infestation is noticed. There are, however, some signs that you can look for in your Framingham home to determine if termites may be present. Termites will travel from nest to food source using mud tunnels; if termites are on your property you will be able to see these tunnels that are the width of a pencil, running towards your home. Wood in your home that is infested will appear splintered, blistered and weakened and may even sound hollow when tapped. Any holes that the termites create in the wood will be repaired with mud and saliva that will be visible on the outside of the timber. If the termites have been working for quite some time you will see doors, window frames, ceilings and floors starting to become warped. Click here to learn more about termites! A sure sign that you have a mature termite colony on your property is finding piles of wings underneath or outside windows or doors (you may also see this on the inside if you already have an active colony present). These wings are what are left behind after a termite swarm. A termite swarm occurs when the mature reproductive members leave the colony in search of a new mate. They will swarm from the colony, fly or be blown by the wind a short distance, fall to the ground, lose their wings and mate. A termite swarm usually occurs in the warm mornings from February to June; the swarm itself will not cause any damage to your home. If you are in need of termite control in Framingham, Big Blue Bug Solutions has the solution! Our professional termite exterminators will provide you with a thorough inspection of your home along with an accurate identification of the species invading your home. If we detect the presence of termites, we’ll treat the problem with effective products that are injected directly into the soil, allowing for the eradication of the entire colony and not just the termites foraging in your home. We will also recommend changes that you can make around your home to deter termites from choosing it. 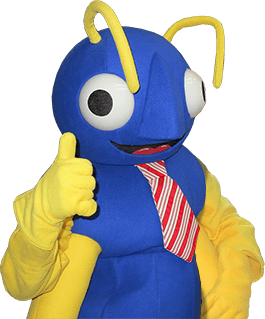 After your termite treatment, Big Blue Bug Solutions will provide you with a one-year termite warranty that can be annually renewed and/or transferred to new owners in the event that you move. Contact us today for more information on any of our Framingham pest control solutions, including termite control and see how we can help you keep your home or business pest free!